Business Hours: 8:00 a.m. - 4:30 p.m. Facility Hours: 7:30 a.m. - 5:00 p.m. 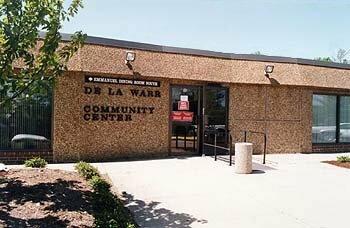 Note: The DeLaWarr Service Center has space that can be used for community meetings after normal business hours. For more information, contact 577-2970 from 7:30 AM - 5:00 PM. Parking for the DeLaWarr State Service Center can be found on the premises and across the street in the church parking lot.